On Friday, April 12th, the ICC Pre-Trial Chamber assigned to monitor the ongoing situation in Afghanistan denied the ICC Prosecutor’s request to begin a formal investigation of war crimes and crimes against humanity allegedly committed by Taliban, Afghan government, and NATO forces (including U.S. forces) during the ongoing conflict in Afghanistan. This a wonderful, albeit temporary, victory for our men and women serving in Afghanistan. Yet, no Americans should ever have been investigated in the first place. First, it is wonderful victory because the Pre-Trial Chamber saw through the Prosecutor’s bold attempt to use alleged happenings in Afghanistan as a means to expand her jurisdiction to investigate American actions in other countries, exactly what the U.S. had feared would occur. That is why the United States has refused to accede the treaty—we don’t support unaccountable foreign bureaucrats running amok in situations that impact U.S. foreign and defense policy. The decision is also wonderful because it removes the current legal threat to our men and women in uniform serving in Afghanistan. Second, the victory will likely be temporary because the treaty that created the ICC allows the Prosecutor to continue to collect evidence of wrongdoing to re-present to the Pre-Trial Chamber in the future. There’s a high probability that the ICC Prosecutor will try again—multiple times, if necessary—to ensnare Americans in her jurisdictional web. So, we must remain vigilant. Third, under customary international law, a country is not bound by the provisions of a treaty to which it has not acceded. That’s exactly the situation with the U.S. with respect to the Rome Statute, the treaty that created the ICC. The United States has rejected the Rome Statute. We are not a party to that treaty. Accordingly, none of its provisions should apply to the United States, its nationals, its territory, or its actions. That fact is still not recognized by the ICC and its minions—they remain committed to ensnare the U.S.—and other non-party States like Israel—in their jurisdictional web. We live in a world where progressive governing elites value global governance and global institutions above national governance and national institutions. They are seeking a new world order where the elites rule the rest. The ICC is just a recent example of elevating global institutions above national ones. Fortunately, as President Trump’s National Security Advisor John Bolton recently reported, the Rome Statute and the ICC have been rejected by “more than 70 nations, representing two-thirds of the world’s population, and over 70% of the world’s armed forces . . . .” Hence, our President is standing strong against the tide of internationalism. The ICC has been in operation since 2002. In the period from its coming into existence to now, it has convicted fewer than 10 persons. When ACLJ Chief Counsel Jay Sekulow and I observed an ongoing trial during one of our visits to the ICC in The Hague, we were both appalled at what we saw. From that moment on, we decided that we would do all within our power to make sure no American soldier would ever be brought before that court. We continue to fight that fight. In the next few weeks, we will be publishing an article explaining in detail why the ICC has no jurisdiction over any U.S. national despite what progressive internationalists insist. 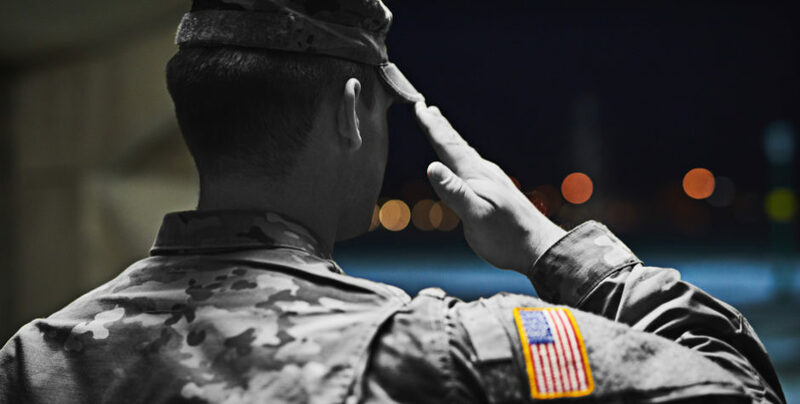 As we aggressively fight to defend the rights of the brave men and women of our military, have your Tax-Deductible gift DOUBLED today. Have your gift doubled through our Matching Challenge.